Squaw Valley Alpine Meadows set the unofficial record for largest torchlight parade on skis and snowboards on New Year's Eve. Below the fireworks, light from 2,913 LED torches can be seen descending the resort’s Exhibition Run. Courtesy of Matt Bansak / Squaw Valley Alpine Meadows. Wind howled and lashed the slopes of the Sierra Nevada on New Year’s Eve, but that didn’t stop thousands of skiers from heading to Squaw Valley Alpine Meadows for one final run of 2018 and a shot at breaking the world record for the largest flare run by skiers and snowboarders. 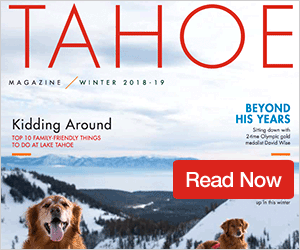 Though the resort reported wind gusts of more than 100 mph and a wind chill factor below zero degrees, which forced Squaw to move the event from Mountain Run to Exhibition Run, nearly 3,000 of more than 3,500 registered participants showed up to unofficially break the world record. The largest flare run ever, according to Guinness World Records, consisted of 2,854 skiers and snowboarders following a course between Riggisalp and Schwarzsee, Switzerland on Jan. 28, 2006. 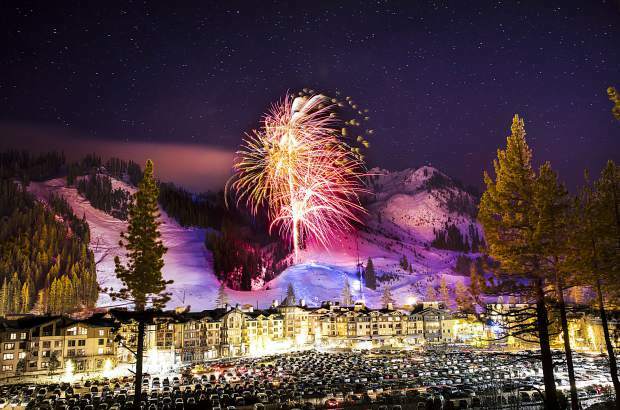 Squaw Valley officials reported 2,913 skiers and riders on the mountain for the New Year’s Eve torchlight parade, enough to break the record, but since no representative from Guinness was on hand, according to Hepburn, the mark set in 2006 will stand. The LED torchlight parade, along with other New Year’s Eve festivities at Squaw Valley, concluded a year that saw Ron Cohen take over as President and Chief Operating Officer after Andy Wirth announced his retirement, installation of a new Via Ferrata climbing route on Tram Face, along with other developments in regard to Squaw Valley Alpine Meadows’ plans for a base-to-base gondola and snow management in the Alpine Meadows area. The resort will kick off the new year by joining in on Learn to Ski and Snowboard Month, and during January is offering deals and discounts aimed at beginners. 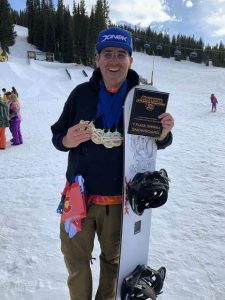 Learn to Ski and Snowboard is in its 11th year, according to the program’s website, and has venues in more than 30 states, helping to get nearly a million children and adults on skis and snowboards. As part of the month-long program, Squaw’s Learn to Ski/Ride lesson package offers beginners the instruction from Alpine Meadows Ski and Snowboard School, and includes a 2.25-hour lesson, rental equipment, and a restricted beginner lift ticket for the day at a cost of $119. 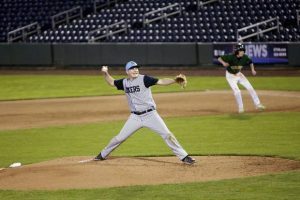 An afternoon lesson can also be added for $69. For more information on lessons and Learn to Ski and Snowboard deals visit SquawAlpine.com.